I wanted to share this real life, super easy breakfast with you – which I literally have once a week. It’s perfect during the busy work week or a Saturday morning when you don’t want to waste too much time in the kitchen. 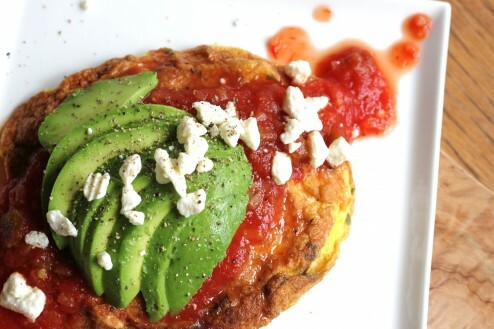 The mix of the spicy salsa, buttery avocado and tangy cojita cheese makes for a perfect combination on top of the eggs. I much prefer this type of dish rather than sweet, carb laden dishes. 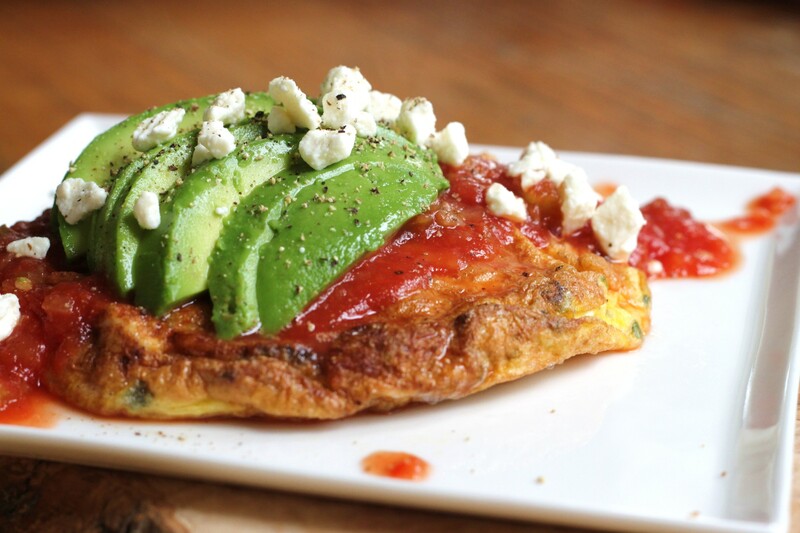 I make this in my small 6 inch cast iron skillet, which is great on the flame or in the oven. The best part about it is the speed, it’s so quick and easy to make – literally the longest part of the recipe is heating the oven. Pour the egg into the skillet. 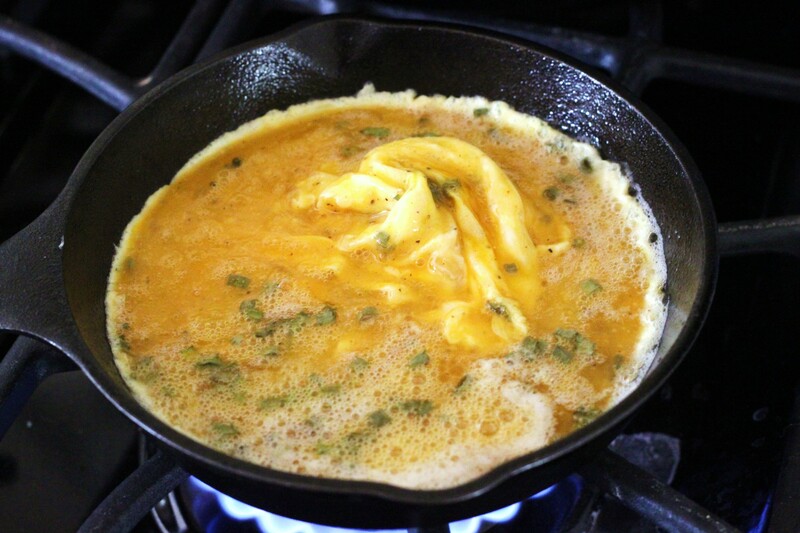 I gently pull the egg into the center a few times just to help it cook and gain thickness. 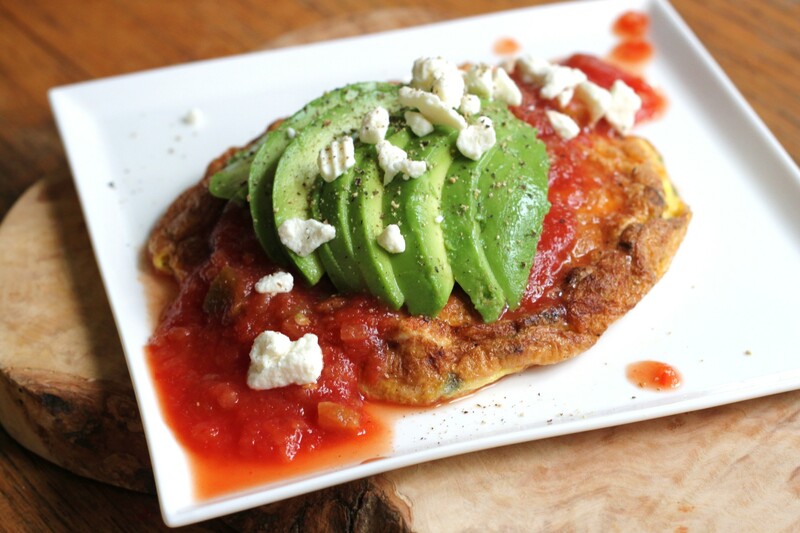 Pour over the salsa, avocado and cojita cheese. Its time to dig in! Enjoy your easy breakfast. Preheat oven to 375 degrees. Heat your small skillet over medium heat. Beat the eggs, green onions, salt and pepper until combined. 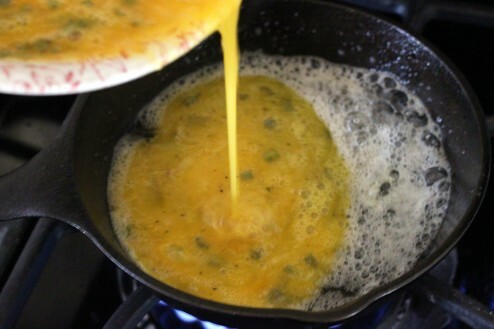 Add butter into skillet, when melted completely add in egg mixture. Use fork to gently push egg to the center of the skillet, do this no more than a few times. Flip and place in oven for 8-10 minutes or until egg is firm. Next heat the salsa in a small microwave proof bowl for 20 seconds. Slice avocado and crumble cojita cheese. 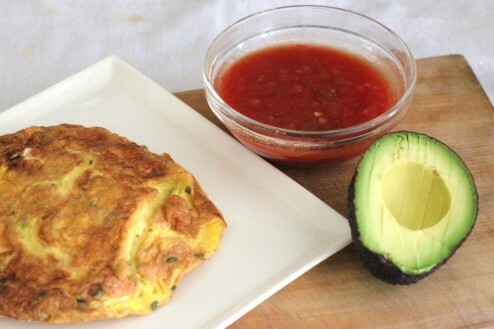 Remove eggs from the oven and plate. 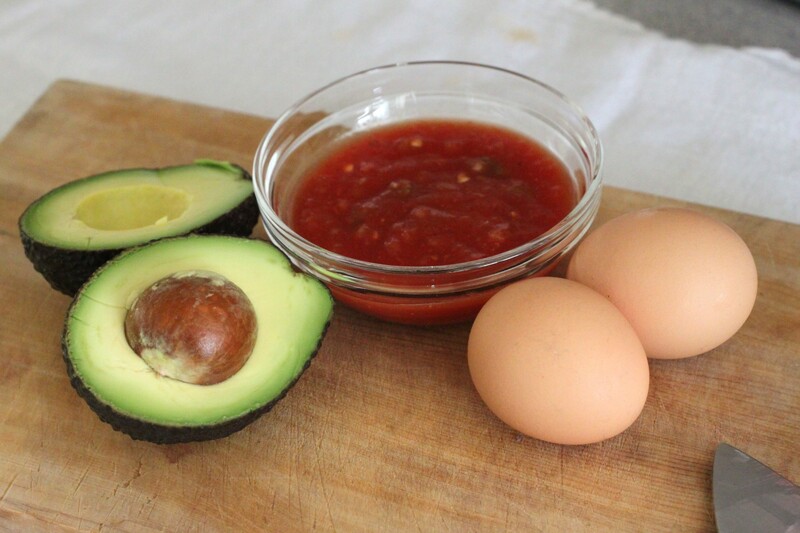 Pour warm salsa over eggs and spoon the avocado on top. Sprinkle the cojita crumbles and cracked black pepper on top.